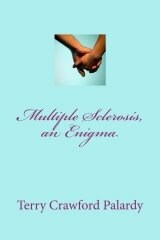 This book, Multiple Sclerosis an Enigma by Terry Crawford Palardy, is a true story about a woman who was diagnosed with MS at an older age. Most people are diagnosed when they are in their 20's or 30's. Some may even be diagnosed as children or teens. The likelihood of being diagnosed after your 30's is rare, but apparently, as you will read in this book, it can happen. If you find it hard to read this page and would like to listen to it instead, play the video and follow along. Multiple Sclerosis an Enigma - I totally agree. A puzzle in every sense of the term. It's hard to pronounce, hard to understand, hard to live with. That is one of the things Cir and I finally came to terms with - the inability to plan our lives as we were accustomed to doing. We live day by day, with tentative future plans that we may or may not accomplish. Live in the moment is our new motto. 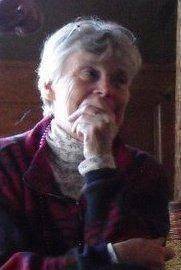 This book was written by a retired schoolteacher who taught school for 30 years, both elementary and middle school, as well as adults at the graduate school level at a university. Terry thought she would teach well beyond those 30 years, when she was forced to retire because of symptoms which made it difficult to do her job well. What she began to experience were "invisible" symptoms which many people with MS develop, from fatigue and depression, to cognitive issues. She felt she couldn't continue to teach her students if she had trouble learning and remembering their names. Fatigue made it difficult to get out of bed in the mornings and finish grading papers at night. She was missing too many days, which was unacceptable to her. Even after an extensive exam process which included tests to rule out everything else, she found it hard to accept her diagnosis. Terry wondered if she actually had multiple sclerosis. Her father had suffered from Parkinson's and it seemed to her that she was experiencing the same types of symptoms as he had. There weren't many diagnosed with multiple sclerosis in those days, so quite possibly he may have had MS as well. After researching and learning more about MS on the internet, she made some healthy life changes, from becoming vegetarian to losing weight, in order to help control the progression of MS. She tried one of the prescribed treatments offered at the time, however, after reading this book, you will see why she decided to discontinue it. If you love reading autobiographical accounts of people who live with multiple sclerosis, this is one that I'm sure you will love. It's straightforward and honest about the treatments and day to day struggle of living with the disease. "Receiving a diagnosis of Multiple Sclerosis is not an easy story to tell. There are no villains or heroes in this story, other than the heroic caretakers who give so much of themselves to each of us. It is not a condition that results from poor choices or harmful behaviors. Because there is no know single cause, there is no cure. There is a series, for most patients, of lulls and rising tides... being and feeling well, then being stricken with symptoms serious enough to require steroid intervention, either at home or at a hospital or clinic, and then recovering and feeling well." I hope you enjoyed this book review, and will make your way around the internet to connect with Terry via the links above. Return from Multiple Sclerosis an Enigma back to Book Reviews.